Last week, the makers of the popular Sparrow email app (available on both Mac and the iPhone) were acquired by Google for a reported $25 million. I used this app on my Mac as it was a very neat email client but I stopped when Apple upgraded its own Mail app last year. 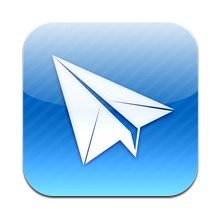 By all accounts, it was a superior email client for the iPhone. The acquisition, however, appears not to have been about the app. Indeed, development of the app (which was to include an iPad and Windows version) will apparently now stop. It was the talent that Google acquired and that talent will be deployed on something different. This episode is a little puzzling. First, as app developer, David Barnard writes, it isn’t clear the Sparrow iPhone app was making that much money. He estimates that the five person team made about $400,000 from the iPhone app but most of that was around the launch time and that app revenues likely fell to only $30,000 a month since then. He argues that it is hard to make great money in the app store as an independent developer. Basically, the path to riches to be acquired. But why is that a path to riches? To be sure, it appears to have been that for the Sparrow team but given those estimates of the revenue from the app, a $25 million acquisition makes no sense. In addition, it doesn’t seem plausible that the competitive damage to Google from having an independent email client like Sparrow was anything more. Moreover, if it was the talent that was being acquired then why pay that amount up-front? It could be that Sparrow had engaged in some poorly considered funding contract and that this was the price to release the team from their obligations. Again, the revenues don’t match that story. And what of the talent themselves? If they, by producing a great app, had signalled their talent and career potential to Google, then great. But what company employs innovative people with millions of dollars as a signing bonus? At their current revenues, Google could have just paid them a better salary. So there seems to be something missing from this account. Barnard’s analysis seems thorough so I tend to think his revenue estimates were in the right ball-park. Perhaps the $25 million reported price is just way off. But there has been no public counter to that yet. As I said, this time, something just doesn’t add up. Sparrow had a five person team, so the bonus was $5M/head. That’s not unheard of for banks and sports teams. Lots of CEOs get $5M or higher performance or signing bonuses, even when they’ve seriously harmed the company. Why not pay this to a software team. It is possible that some millions of that went to paying off their original funders, but the price doesn’t seem all that out of line these days. Granted, an alternative explanation is that Google saw Sparrow as a threat and figured $25M was a cheap way to neutralize it.